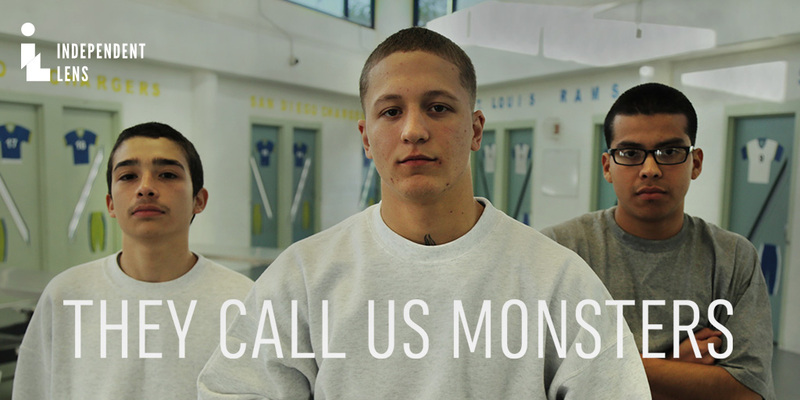 “They Call Us Monsters” goes behind the walls of the Compound, a high-security facility where Los Angeles houses its most violent juvenile criminals. To their advocates, they’re kids. To the system, they’re adults. To their victims, they’re monsters. This film, presented on Independent Lens, follows three young offenders who sign up to take a screenwriting class with producer Gabe Cowan as they await their respective trials. Arrested at 16, Jarad faces 200 years-to-life for four attempted murders; Juan, also arrested at 16, faces 90-to-life for first-degree murder; Antonio was arrested at 14 and faces 90-to-life for two attempted murders. As the boys work with Gabe on their screenplay, their complex stories are revealed. On CPTV: Monday, May 22 at 11 p.m.